Hybrids use similar combustion engines to conventional vehicles, and are fueled just like standard vehicles, but also with an electric motor and battery. These other components are what give hybrids better fuel efficiency than non-hybrids. Greater fuel efficiency means less pollution and less money spent at the gas pump. Nowadays, many hybrids can charge these batteries from an outlet and run purely on electric energy before having to switch to gas or diesel. And many hybrids also have advanced features like Regenerative Braking which uses braking friction and the resulting kinetic energy to help recharge the battery. It’s innovations like these that have helped hybrids become so much more affordable in the market. Today, hybrids average at around $30,000 for a sedan or hatchback model. And recently, Chrysler reintroduced the minivan back into the market—a hybrid minivan, in fact! It’s been interesting watching the minivan become exciting to consumers once again. Edmunds has been especially welcoming of this new minivan hybrid, recommending it as one of the absolute best options for larger families: “If you need a fuel-efficient vehicle with seven seats, look no further than the Pacifica Hybrid.” The Pacifica hybrid has been selling especially well in North America thanks to it introducing into the marketplace the future of hybrid technology and the future of large family accommodation. The Pacifica is a plug-in hybrid that offers enough charge to get the kids to school on nothing but electric power. 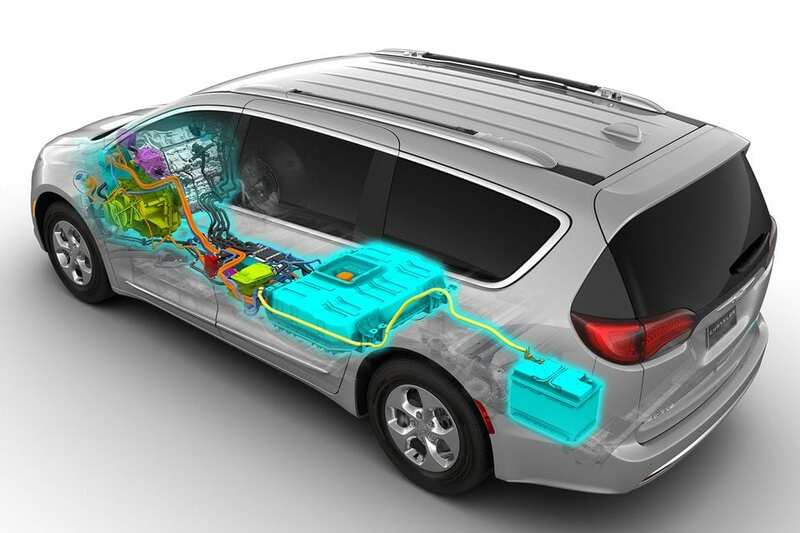 The battery itself is very well concealed, allowing for as much room as you could hope for out of a minivan. The 3.6L V6 motor is there for the additional juice during those longer road ventures. There’s nothing that will prevent an OEM from engaging in the type of development work that Tesla has done so far. We have been—as you well know—we have been reluctant to embrace that avenue until we saw a clear path forward. I think we’re now in a position to acknowledge at least one of our brands—and in particular Maserati will when it completes the development of its next two models—effectively switch all of its portfolio to electrification. And as these products come up for renewal post 2019, it will start launching vehicles, which are all electric and which will embody, I think, what we consider to be state-of-the-art technology. This is definitely a progressive perspective we’re seeing from Fiat-Chrysler—one we here at Great West Chrysler are embracing, and we encourage you to embrace this shift too. 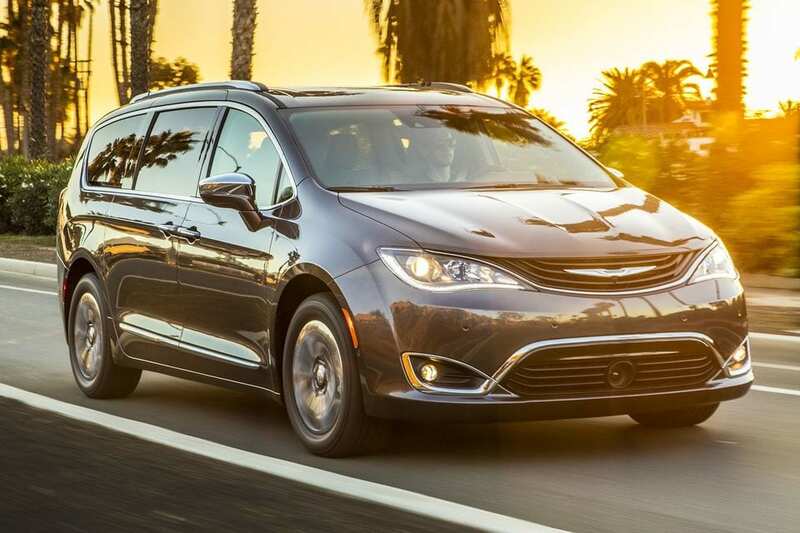 To learn absolutely everything we know about hybrid vehicles and their future, or should you be interested in learning more about the Chrysler Pacifica Hybrid, we welcome you to contact us. We’d be delighted to help you find the most efficient and economical vehicle for you and your needs.